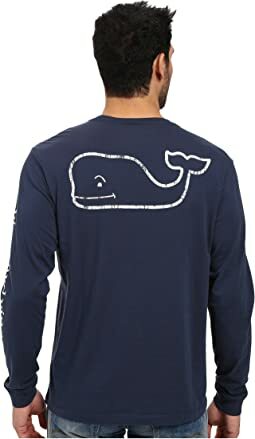 The winds of fashion are ever changing, however vineyard vines holds true to its brand identity of timeless Americana. 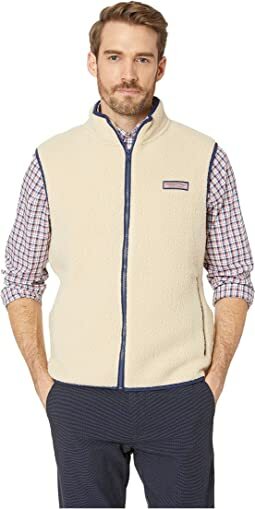 To put it more simply, vineyard vines is preppy with a fun twist. 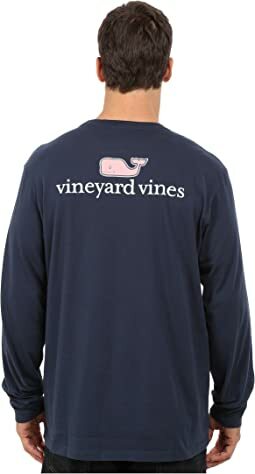 From ties to a total lifestyle brand the story of vineyard vines epitomizes the American Dream. In 1998, brothers Shep and Ian Murray quit their jobs in NYC, retired their suits, and returned to the place of their favorite childhood memories, Martha's Vineyard, to start their own business of fun. 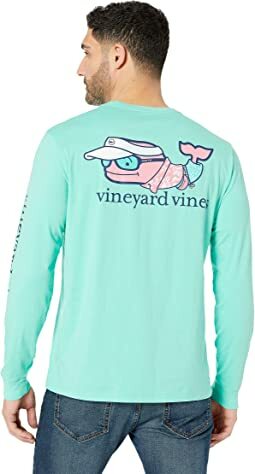 That summer, Shep and Ian sold ties under the aptly named label, vineyard vines. Their quirky, imaginative ties sold out in one week. 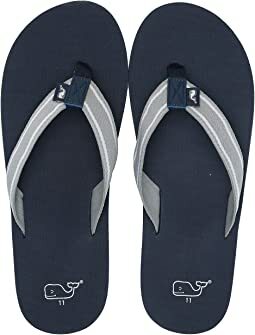 Today, vineyard vines has spread their whale fin to encompass women's and men's clothing, swimwear, flip-flops, accessories, and more! 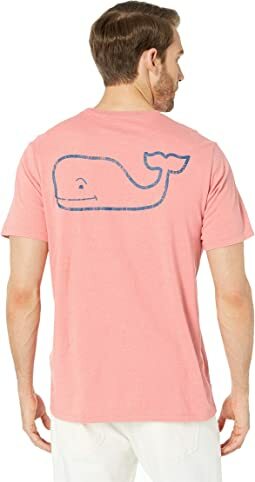 Vineyard vines clothing and swimwear for men boasts quality fabrics, playful prints, fine construction, and a vast spectrum of colors. 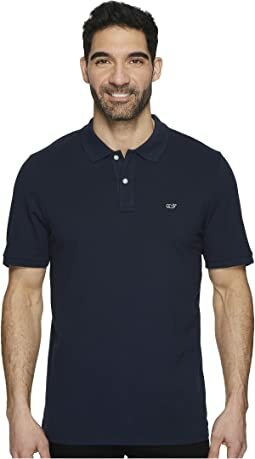 Feel coolly confident strolling around campus or the country club in a signature garment-washed polo shirt or preppy shorts. And remember that a proper Southern outfit is never complete without a playful vineyard vines bow tie and club belt. 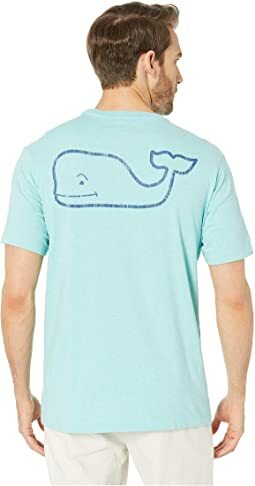 If you happen to summer on the Vineyard, hit the beaches of SoCal, or lounge at the lake, make sure to showcase the iconic whale logo wherever you go! 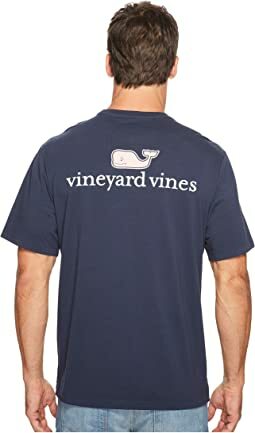 Capture the vivid, exhilarating spirit of Edgartown, Oak Bluffs, Menemsha, and Gay Head in vineyard vines today! 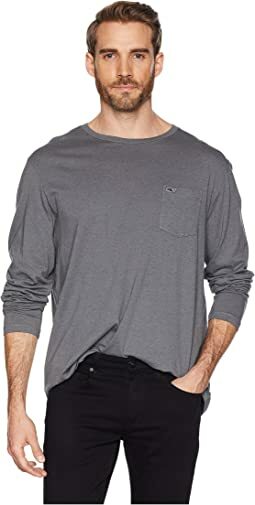 Awesome casual shirt. 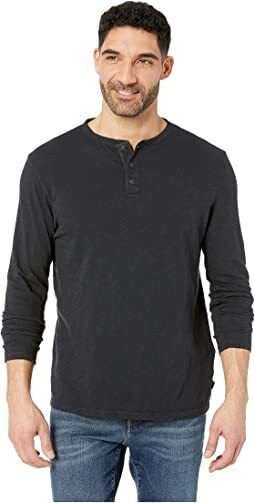 Classic fit, not too tight or too baggy. 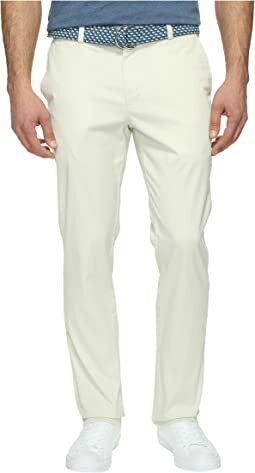 Love Vineyard Vines Breaker pants! My husband really likes the quality and fit. 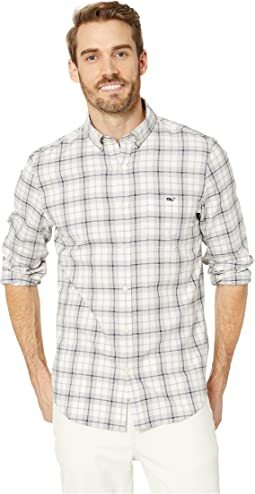 Nice quality, light weight shirt. 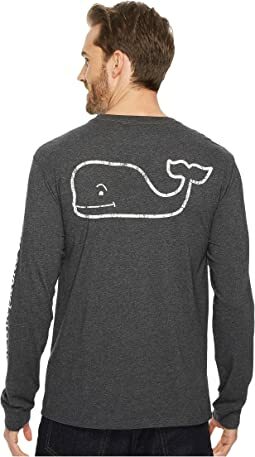 My son (13) has a collection of these shirts. He loves the fit and comfort. This one didn’t disappoint. 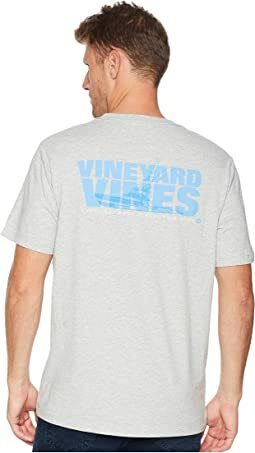 Vineyard makes a nice golf shirt. I bought this in the blue striped, which was brighter than some of their shirts. Beautiful color and fabric. Can where it from the gold course to dinner. 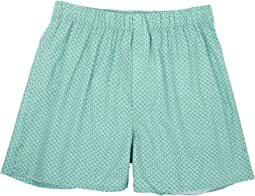 Purchased these shorts for my son. 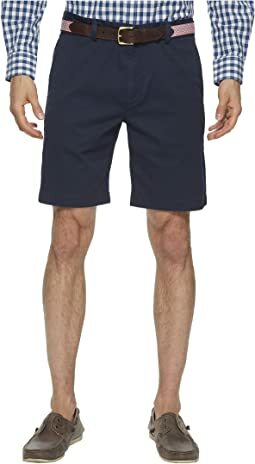 They are very comfortable and fit well. Great color options to choose from. Got very well and was comfy! Did not fit well, and were too baggy in certain upper areas. Also, came out of the wash quite wrinkled and in need of ironing. 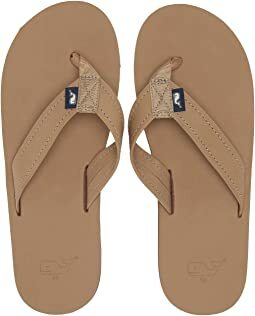 After one time of wearing, they looked like I had slept in them. 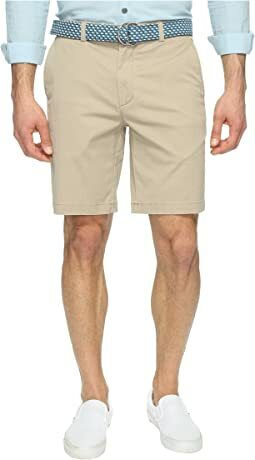 Very soft material, but not practical for everyday wear. So glad I purchased this for my husband. Everything about the shirt is on point... the fit, the fabric, the feel. It looks great on and he says it's very comfortable. We will purchase more from this brand. Ordered a men's size 12. Fit true to size. Lightweight and comfortable. Stylish upper strap. Happy with purchase. 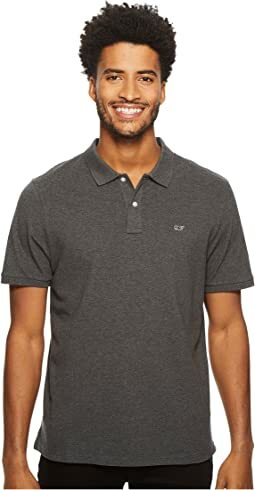 VV does a great job with polos and comfort! Great fit and quality. I sized down one size and it’s perfect. Color pictured is not accurate. Ordered two sizes to see which fit best and the tops are white. Everything else is brown. Very disappointed. Customer support said that maybe they changed the style recently. 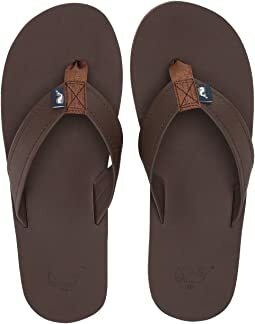 I know it’s a lot of photos of shoes for Zappos to manage so I guess I’m not mad, just annoyed that I have to find another pair that I like and hope they look like they are shown. Nice simple class style. Fits spot on. Runs alittle small. Besides that no complaints ?